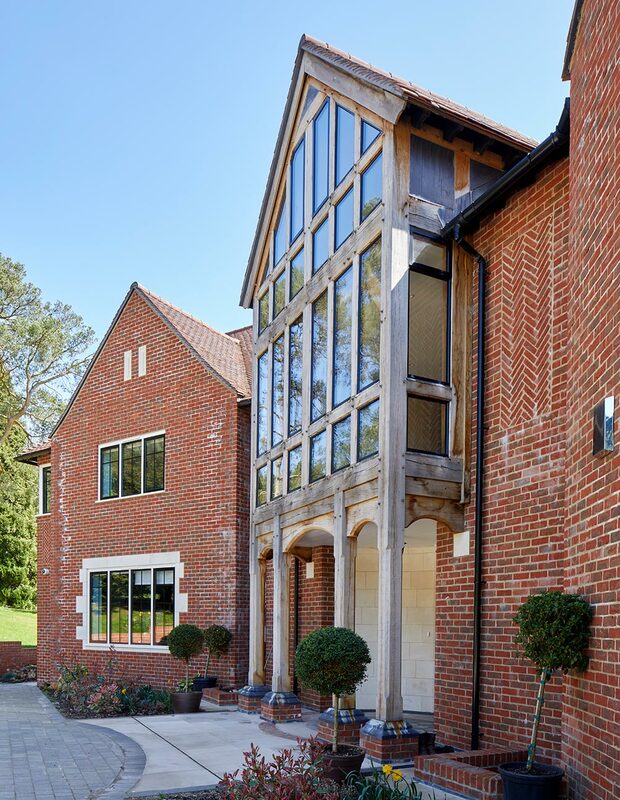 "a contemporary twist on classic Arts & Crafts"
This replacement dwelling presented considerable challenges, not least because of the steeply sloping site and nearby tall trees. 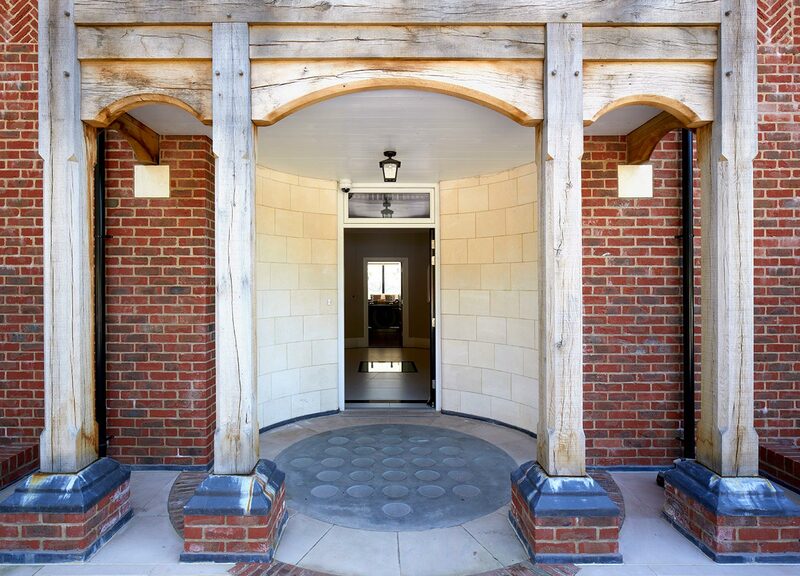 Our clients wanted to make the most of the site, and also asked for a modern take on traditional Arts & Crafts design. 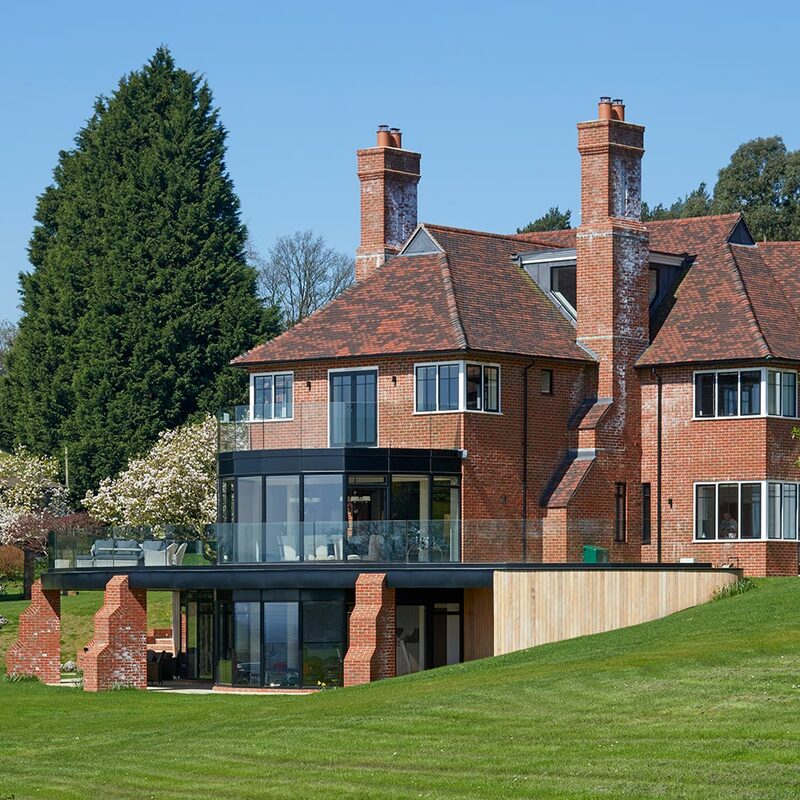 The resulting design is a whimsical, eclectic and totally unique piece of architecture, nestling into its own extensive grounds with incredible views over Farnham right down to the South Downs. 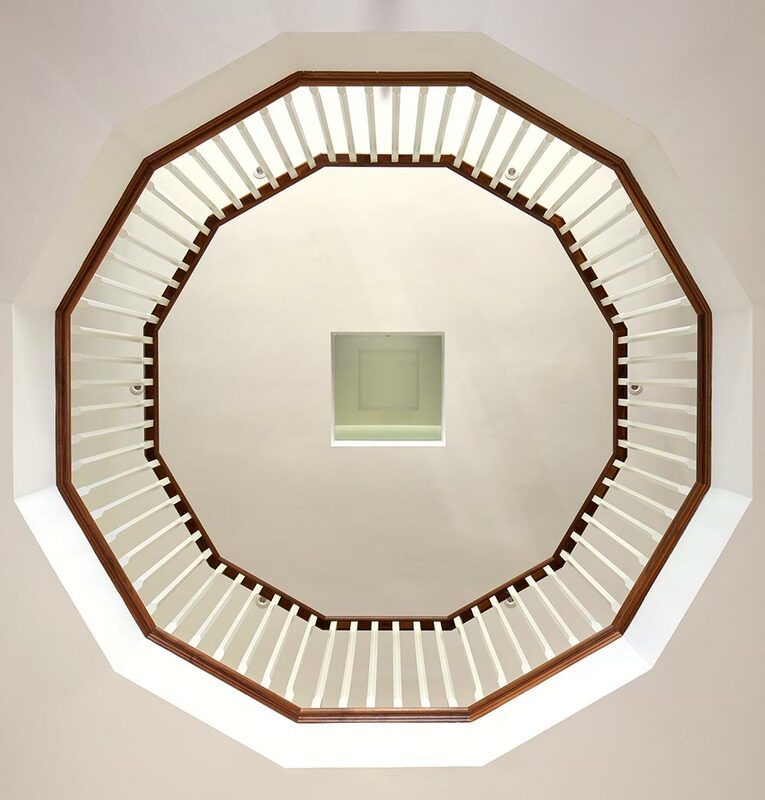 In order to make the most of the views, we used a symmetrical butterfly plan, with three triple aspect wings, giving nine different views across the countryside and the fabulous gardens. By choosing a concrete frame construction we were able to create corner windows, framing even more views over the landscape. 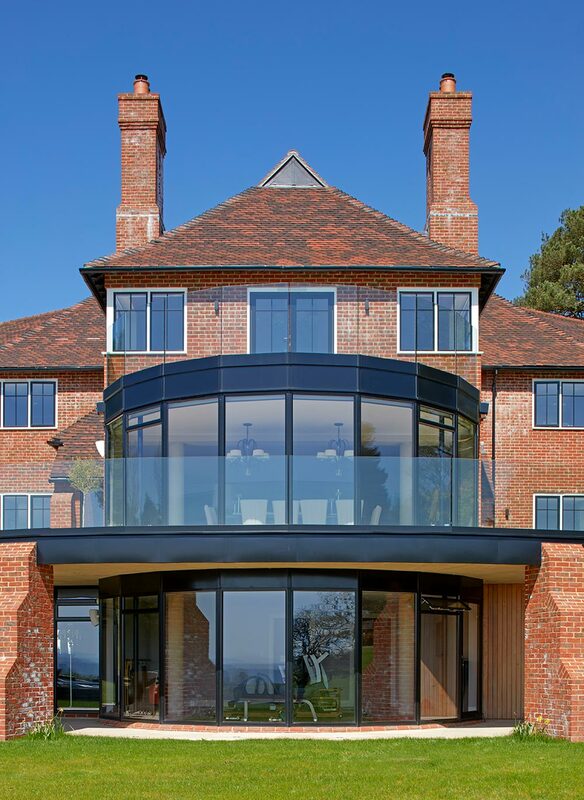 The sloping site presented some design challenges, but by opting for a circular footprint, we created a formal entrance and a terrace which conceals family rooms and a gym leading directly onto the lawns. 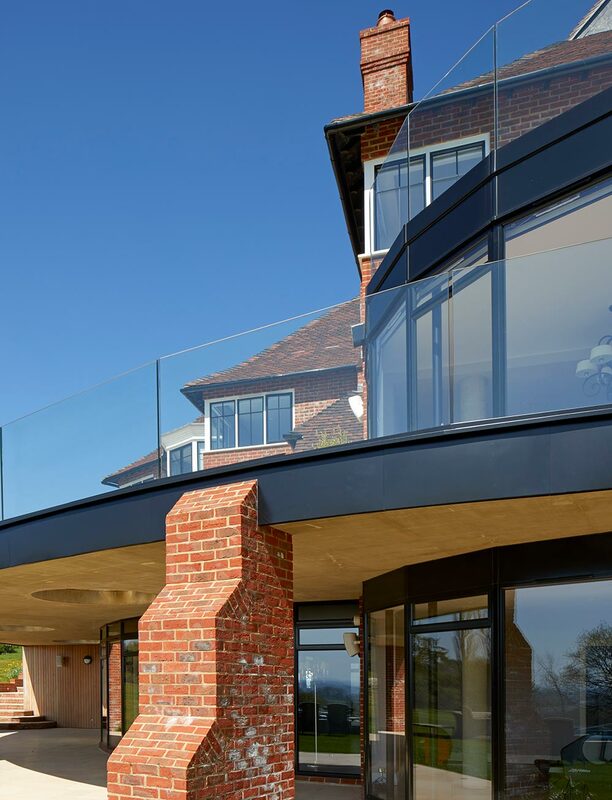 The south facing terrace also provides shading over the full height glazing, maximising views whilst retaining a controlled environment.